This EF 50mm f/1.4 usm lens from Canon is a standard length lens featuring superb quality and portability. 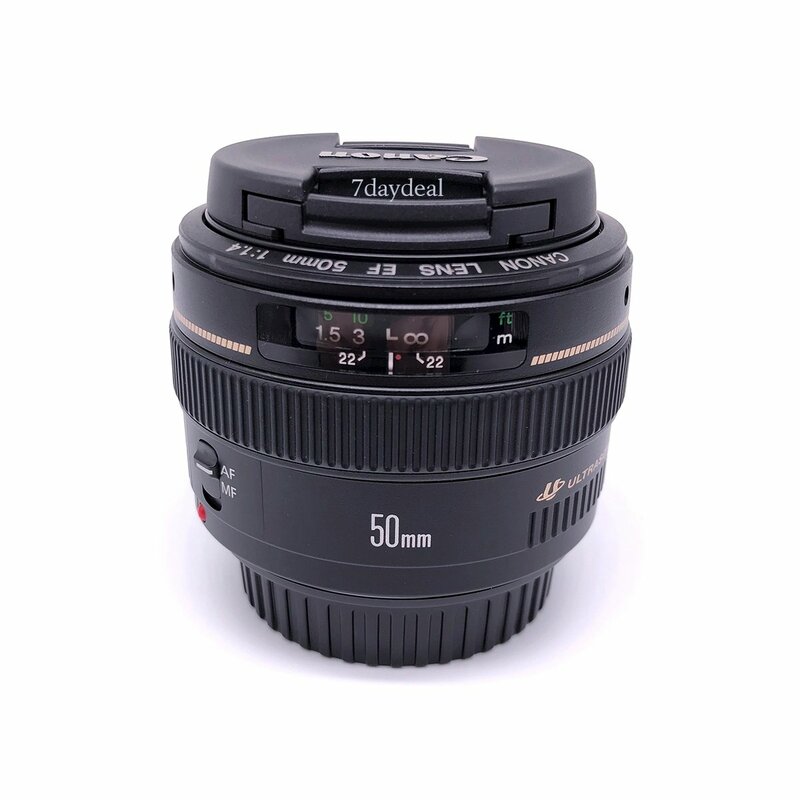 Its f/1.4 maximum aperture makes it very effective in low light situations and able to provide shallow depth of field focus. Two high-refraction lens elements and new gaussian optics eliminate astigmatism and suppress astigmatic difference. Its ultrasonic autofocus motor (Usm) enables fast, smooth and silent autofocus action and full-time manual focus override allows for the precision of manual focus even in one shot AF mode.